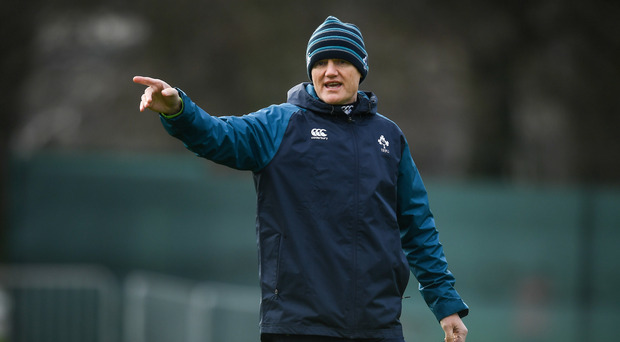 Neil Francis says that Ireland's 'significant advantage' in the back row will see Joe Schmidt's side overcome England on the opening weekend of the Six Nations. Ireland host Eddie Jones' outfit at the Aviva Stadium on Saturday in a mouthwatering clash, with the home side looking to get their Six Nations title defence off to a winning start. Ireland clinched a Grand Slam at Twickenham last March with a comprehensive win, and also came out on top in the 2017 fixture to deny England a Six Nations clean sweep. Ireland are strong favourites this time around with the bookies, and Neil Francis is predicting an opening day victory. Speaking on the Left Wing, Independent.ie's rugby podcast in association with Aldi, Francis says that Ireland have a superior back row - and that will tip the scales in their favour on Saturday. "This is where the game is one and lost and where Ireland have a significant advantage," Francis said. "Even looking at Billy Vunipola. I watched him play for Saracens against Glasgow and he was good but a long way off international standard. He is not a great trainer. Underhill is a huge loss for England. They might pick Courtney Lawes or Maro Itoje at blindside but I don't think they will. It looks like it will be Tom Curry and Mark Wilson and they are just not up to it. "Wilson got Man of the Match in one of the November games. He is just a journeymen. They will do their best but our back row are so smart at this stage. They are so cohesive and they know what to do. That's the big selection call. I just don't think England are good enough in that area in all aspects - on the ground, defensively, everywhere. I think that is where Ireland will win it." One big selection dilemma Joe Schmidt has heading into the game is who to start at openside flanker. Peter O'Mahony and CJ Stander are nailed on at six and eight, with Josh van der Flier and Sean O'Brien vying for the number seven jersey. Francis is backing the Leinster and Ireland veteran to get the nod. "I just think that Seanie is far smarter than any other option that we have there," Francis added. Although Sean O'Brien has been hampered by injury this season, Luke Fitzgerald thinks that Schmidt may still opt to use the Tullow Tank from the start against England. Fitzgerald points to previous Schmidt selections as an indication that he is willing to give returning players the benefit of the doubt. "If he is going to be in the 23, then Joe has always picked the guy who won't be able to last the full 80," Fitzgerald said. "For example, if Josh van der Flier gets injured after five minutes, then you are asking Seanie to play 75 minutes, which would be a huge ask. That is probably something that is leaning in his favour of starting. Joe has consistently done that during his coaching career, pick the guy that is coming back from injury to start the game."